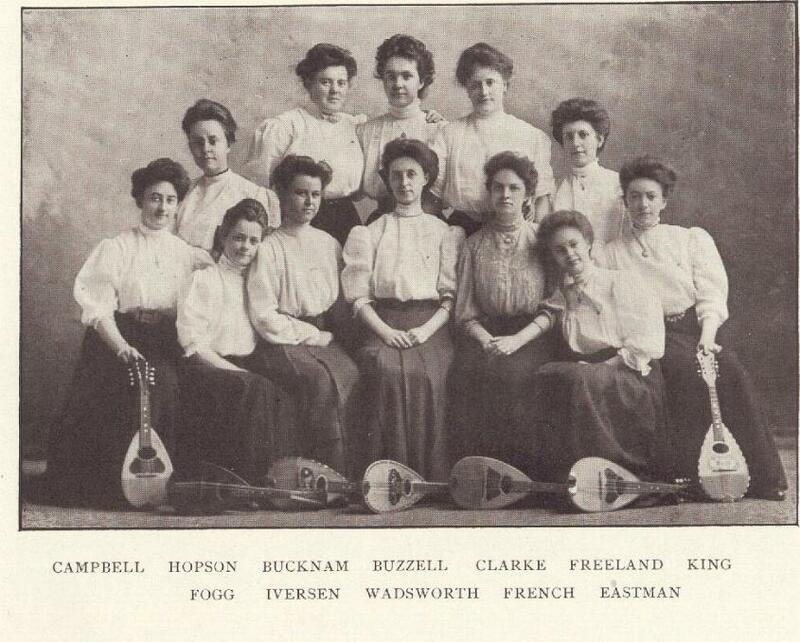 Comments: Florence Freeland (Nee: ) | Me USA | 1901-1920 | Comments: The Mandollin Club- 1908 Colby College, Waterville, Me -To see all the pictures in the YearBook click at thebottom of this page OR type COLBY in the photographers slot in *Detailed Search*. Another way to browse the yearbook is by clicking on *S* in the Alphabet List and select*School Annual 1908 Colby College, Waterville, Me *. If you wish a close up scan oradditional information regarding of any of these images or this yearbook email webmaster@deadfred.com To see the other annuals uploaded go tohttp://www.deadfred.com/search/annuals.html.